1. 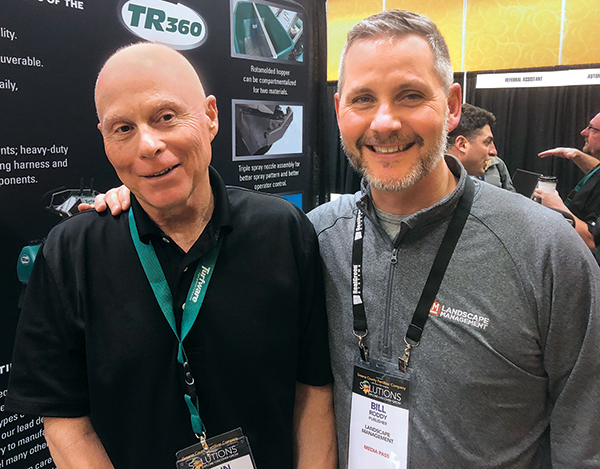 Front and center Thanks to stellar booth placement, attendees entering the trade show at the Real Green Solutions conference in St. Pete Beach, Fla., immediately saw John Prusa (left), president of Turfware. With Prusa is Bill Roddy, publisher of Landscape Management. 2. 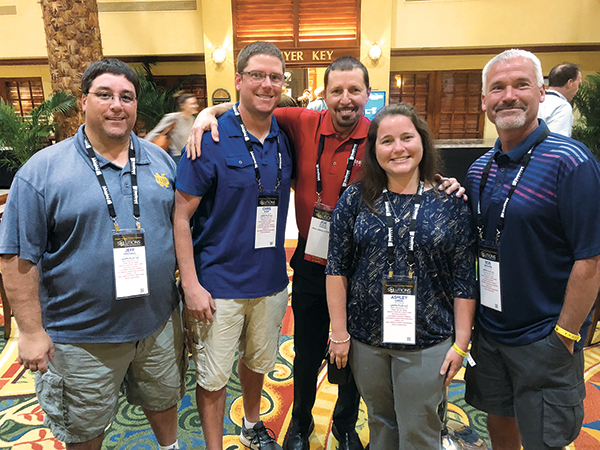 The Lawn Plus team Joe Kucik (center, in red), CEO, Real Green Systems, was thrilled to see that West Alexandria, Ohio-based Lawn Plus sent four of its best and brightest employees to Real Green Solutions 2019. They are (from left to right) Jeff Michael, Chris Kopf, Ashley Cress and Bob Brower. 3. 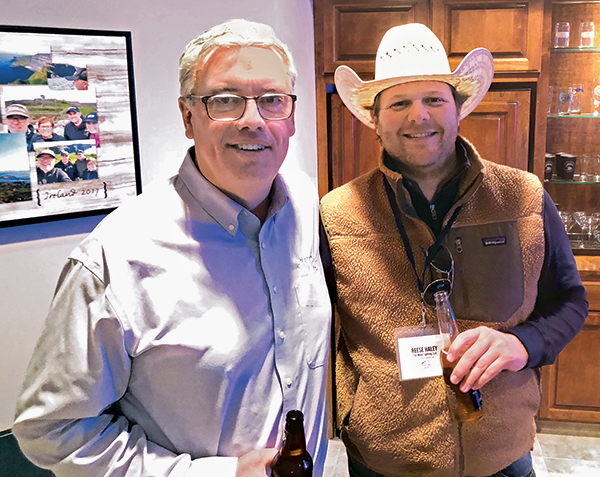 Bright ideas Lighting professionals traveled from far and wide to attend the Lighting Summit in Omaha, Neb. 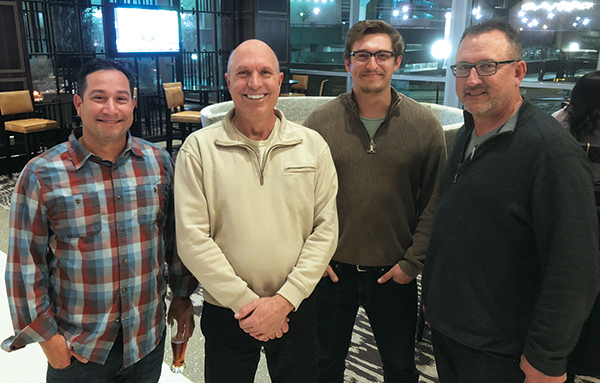 (From left) Anthony Bogdanovich, Imagine Lighting Co., San Pedro, Calif.; Mike Potucek, Artistic Outdoor Lighting, Lombard, Ill.; and father-son duo Ty and Keith Rosser from Landscape Lighting Pro of Utah in Midvale, Utah. 4. 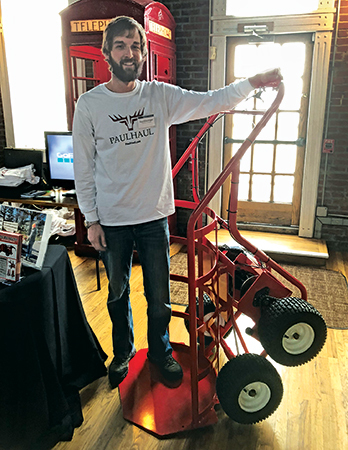 Meet Paul of PaulHaul Paul Eltschinger, owner of PaulHaul, shows off the Little Helper, a four-wheel motorized cart capable of moving 900 pounds, at the Outdoor Connections Expo in Lawrence, Kan.
6. 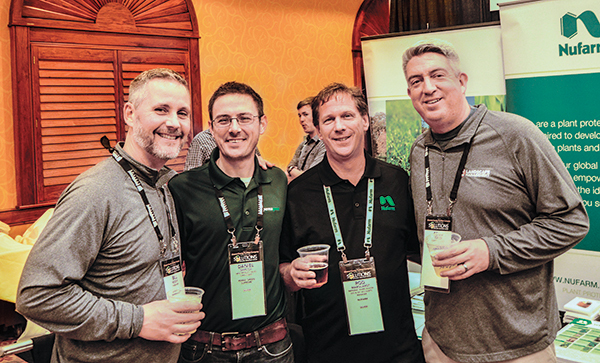 LM Growth Summit reunion Reminiscing about the good times they had together at the 2018 LM Growth Summit are (from left to right) LM’s Bill Roddy; Dan Shiplov, PermaGreen; Rod Marquardt, Nufarm; and Seth Jones, editor-in-chief, LM. 7. Whose face is on the $5,000 bill? 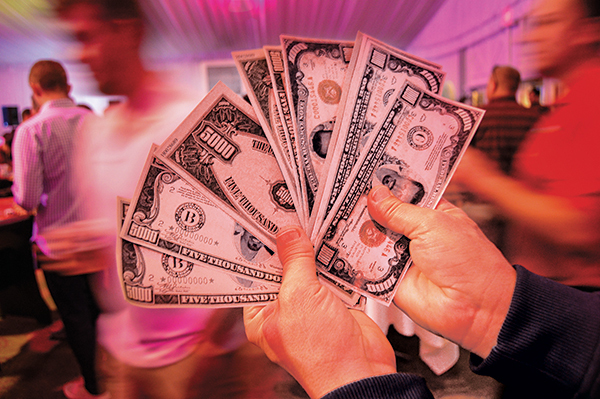 Winners were handed these fancy bills at the Real Green Solutions casino night, adorned with Real Green CEO Joe Kucik’s smiling face.